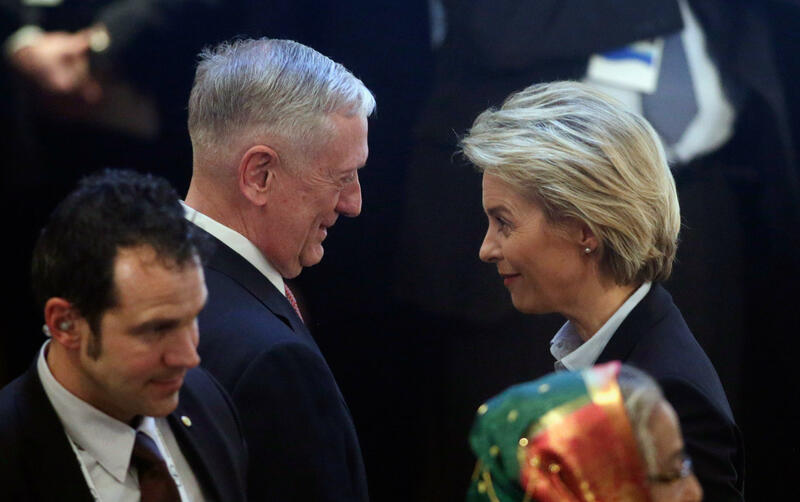 Minister Ursula von der Leyen also acknowledged that it won’t be enough in the future to rely on American military strength and “duck away” when things get tough. She spoke at the opening of the Munich Security Conference, an annual gathering of diplomats and defense officials that this year offers an opportunity for many to meet with members of the Trump administration amid concerns over the new president’s commitment to NATO and his attitudes toward the EU and Russia. “Security is always best when provided by a team,” he said. U.S. Vice President Mike Pence is to address the meeting Saturday, and Homeland Security Secretary John Kelly also is attending. President Donald Trump has set off alarm bells in the past by calling NATO “obsolete,” though subsequently told European leaders he agrees on the “fundamental importance” of the military alliance. He has emphasized the need for all members to pay a fair share for defense, an issue that NATO leaders themselves have pushed for years. Mattis told fellow NATO members on Wednesday that they need to increase their military spending by year’s end or risk seeing the U.S. curtail its defense support. He said Friday that “it is a fair demand that all who benefit from the best alliance in the world carry their proportionate share of the necessary costs to defend our freedoms,” and added that his message had been “well received” by his counterparts. Other stances - Trump’s support for Britain’s decision to leave the EU, his perceived closeness to Russia and his inaugural pledge to put “America first” - also have raised concerns. “From the German point of view, our traditional reflex of relying above all on the vigor of our American vigor when things and ducking away when things really get tight ... will no longer be enough,” von der Leyen said. “We must also carry our share of the burden,” she added, though she said that isn’t purely a question of money. Von der Leyen stressed the importance of strengthening EU defense capabilities and said now is the right time to take “ambitious steps,” something that she said isn’t just in Europe’s interests. Mattis repeated assurances he delivered at NATO over the past two days. The Munich gathering, now in its 53rd year, is known for providing an open and informal platform for allies - and adversaries - to meet in close quarters.